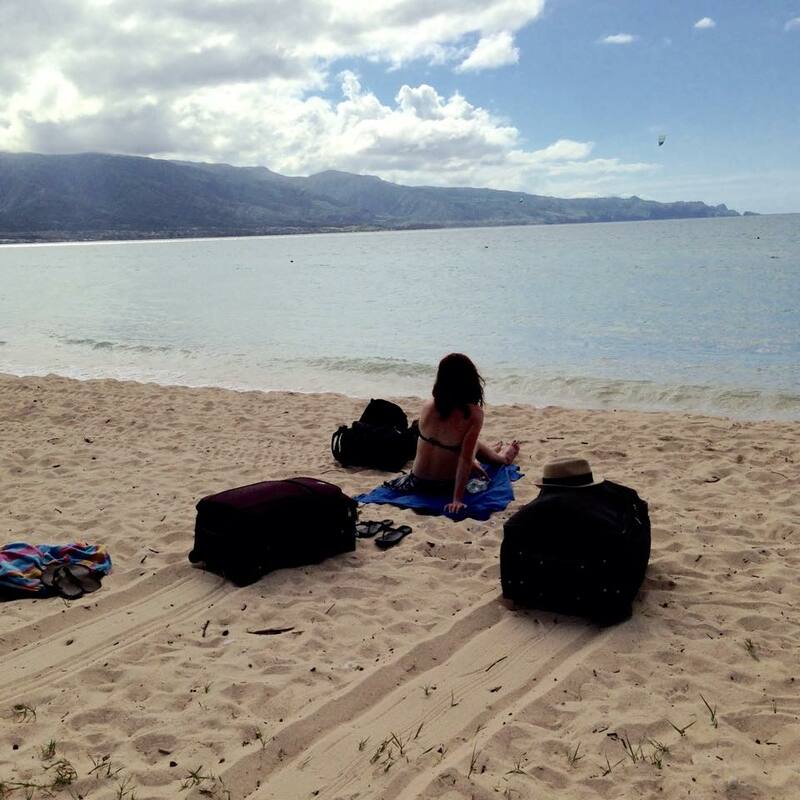 Our suitcases on the beach in Maui, Hawaii. The airport wouldn't take them during a layover, so we have to bring them with us. 1. You have more going away parties than birthday parties. 2. People say you travel a lot but you are not sure if you agree or not because when you do it’s never long enough. 3. You will do anything to blend in and not be noticed as a tourist… but then sometimes you just accept that you are one. 4. You can’t sign a lease or cell phone plan that requires any sort of time commitment because you hope your next trip isn’t that far away. 5. Everyone asks where you are travelling to next, even when you don’t have anything planned. They know all too well it won’t be long. 6. You know how to say hi, bye and thank you in at least 3 languages. 7. You have the airport security check down to a tee. 8. Every new country you travel to is like a point towards the “you’re living an awesome life award” that only you care about. 9. The idea of a family and kids scare you because it means no travelling. So you start to think of ways you could bring along a bunch of kids with you during every trip as well. 10. The travel doctor becomes cheaper every time. Let’s face it; you’ve already got every needle in the book.